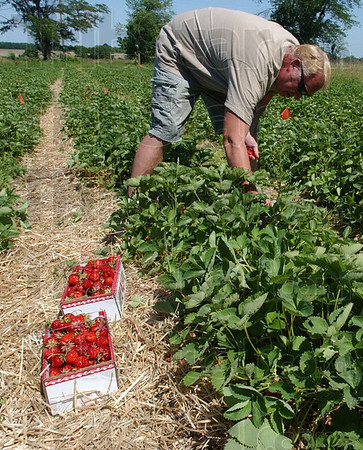 Easy pickins: Mike Soules picks plump strawberries at Cherrywood farms Monday afternoon. Soules was there with his girllfriend Julie Atkinson. With them was Mike’s son Jacob and Julie’s son Alex.